There is a lot of magic in Facebook Applications. I use them to grow my fans and email subscriber list. Growing my email list has been my main focus lately. Subscribing to a blog shows more commitment then following or Liking. Also, a subscriber is giving you their permission to communicate with them privately. 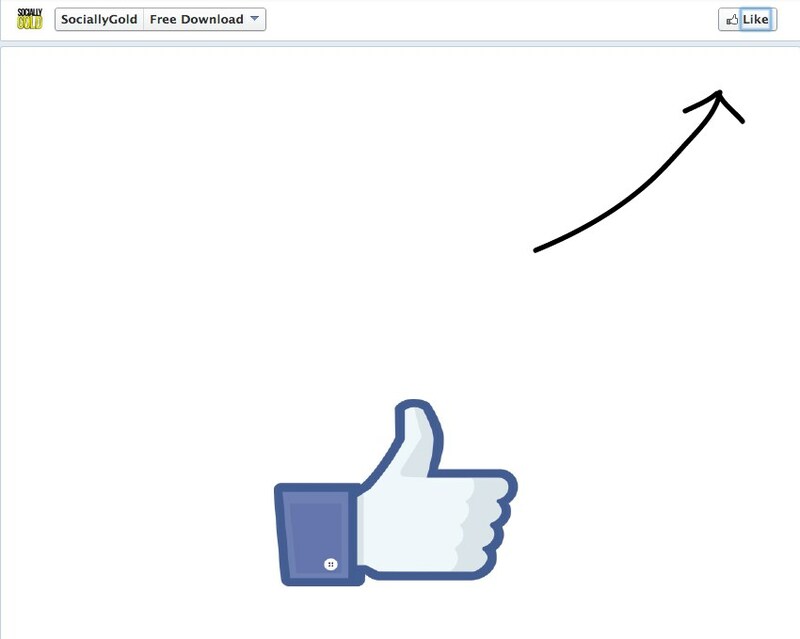 This post will show you how to collect emails using a free Facebook application (also known as a Facebook tab) for your Facebook business Page. First you need to have an email service program like AWeber or MailChimp . I have flipped between AWeber and MailChimp, but I am currently using MailChimp. 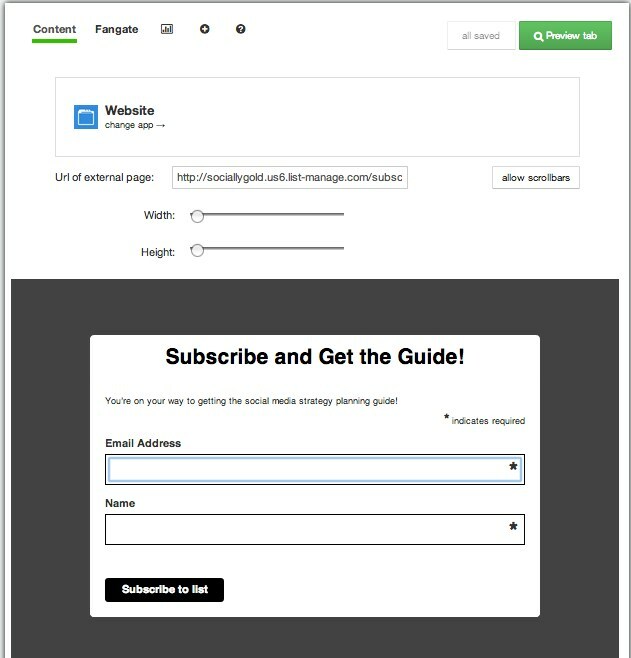 When you create a list in MailChimp, you have the option of creating a sign-up form. The sign up form can live in the Facebook Application, which I’ll show you how to install. This tutorial also includes a downloadable Fangate image and some strategy tips to start collecting emails. Step 8:В Select “Website” from the list on the left and then the “Use Website App” button down below. Step 9:В Enter the external URL of the website you want to use. MailChimp gives you a URL to use when you create a form. If you are not familiar with creating forms on MailChimp, you can visit their forums for a tutorial. Step 10:В Installing a fangate will allow you to restrict access to the tab only to those who have liked you on Facebook. So now you’ll not only collect an email address, but they will be forced to like your Page. To install the a fangate, click “Fangate” next to content tab at the top left. 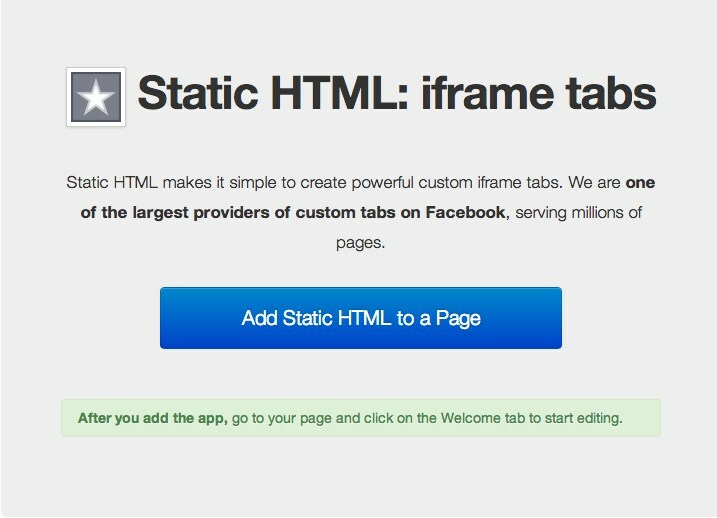 Step 11:В You can upload an image or add html as your Fangate. I use a .jpg to encourage the like by highlighting where the like button is at the top right. Remember, only those that don’t like your page will see the fangate. You’ll have to upgrade to the paid version if you want to upload an image from your computer. The way around it is to add HTML. You can copy and paste the HTML below and you’ll be all set. Step 12:В View your new Fangate by hitting “Preview Tab” at the top right. 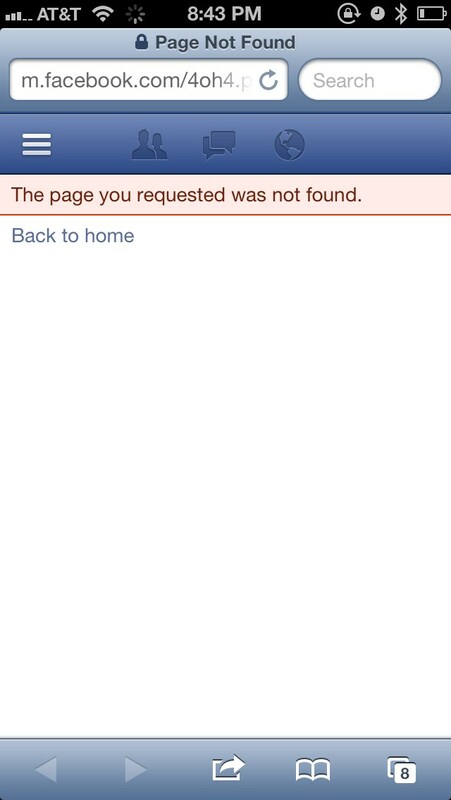 Step 13:В Navigate back to your Facebook Page to see what you have created. You’ll see the generic image for the app there. 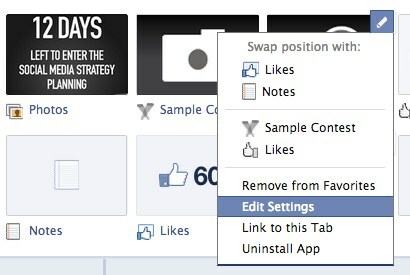 Step 14: Changing the image and the Facebook tab name. Click the triangle to the right, which will give you access to editing the individual tabs. Hover over the tab you want to change and click the pencil icon. Step 15:В Click edit settings. A dialogue box will appear. Edit the custom tab name and image. The image dimensions are 111×74. According to Facebook, theВ Mobile daily active users hit 469 million on average for June 2013. It’s important to make sure you Facebook Application is В mobile friendly. To do this add “?ref-ts” at the end of the link to force the desktop version of Facebook, otherwise mobile users will get an error. Step 18! That’s it, your done! Enjoy using your newly created mobile friendly Facebook Application. As always, thank you for reading. It would really help me if you shared this article with your friends, foes, neighbors, sisters, brothers and anyone else who you think may be interested in creating Facebook Tabs and Applications. 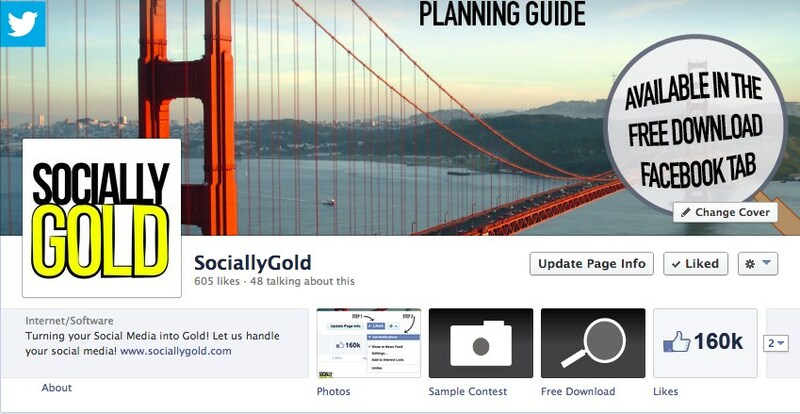 You can also subscribe to get updates in your inbox directly from SociallyGold.